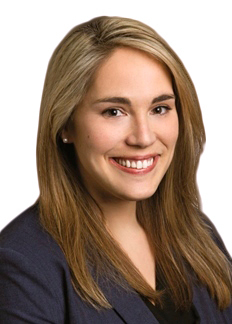 Kelly A. Carroll is an associate in the Regulatory Department of the firm’s Washington, D.C. office. Her practice focuses on representing clients in the health care and life sciences industries in a wide range of regulatory and litigation matters, including areas such as reimbursement, fraud and abuse, HIPAA, health information technology, regulatory compliance, and long term care issues. In addition, she advises States on matters involving federal funding of state health care programs and disputes with the Centers for Medicare & Medicaid Services (CMS). She is also a member of the firm's Fraud & Abuse Practice Group. Ms. Carroll has advised the legal task force of a state health information exchange on genetics issues, and she writes and speaks on legal and ethical issues related to health care reform, physician payment reform and MACRA, health privacy, clinical research, and Catholic health care systems. Prior to her legal career, Ms. Carroll conducted NIH-funded bioethics research at the University of Pennsylvania and Saint Louis University, and she was awarded a fellowship at the Institute for Ethics of the American Medical Association. Kelly also served as the Executive Managing Editor of The American Journal of Bioethics. Prior to joining Hooper, Lundy & Bookman, Ms. Carroll was an attorney in the Washington, D.C. office of Proskauer Rose, LLP. Ms. Carroll received a Bachelor of Arts degree in Religion from Haverford College and a Master of Bioethics (MBE) from the University of Pennsylvania. She received her J.D. from Saint Louis University School of Law, where she was the Executive Editor of the Saint Louis University Journal of Health Law & Policy. While in law school, Kelly worked on health care fraud and abuse matters as a legal intern with the U.S. Attorney’s Office for the Middle District of Pennsylvania. She also worked in her law school’s Mediation Clinic and received a Certificate in Health Law. “Medicaid Rate Challenges Before and After Armstrong v. Exceptional Child Center, Inc.” (with Felicia Y Sze and David J. Vernon), 28 The Health Lawyer 16 (February 2016). “California Medicaid Rate Challenges,” (with Felicia Y Sze and David J. Vernon), Volume XXXIII California Health Law News 10(Summer/Fall 2015). “Research-Related Injury Compensation Policies of U.S. Research Institutions,” (with David B. Resnik et al. ), 36 IRB: Ethics & Human Research 12 (2014). “Understanding Research Misconduct: A Comparative Analysis of 120 Cases of Professional Wrongdoing,” (with James M. DuBois et al. ), 20 Accountability in Research: Policies and Quality Assurance 320 (2013). “Can For-profit Catholic Health Care Get The Mission Right?” Health Progress 49 (May-June 2012). “Environmental Factors Contributing to Wrongdoing in Medicine: A Criterion-Based Review of Studies and Cases,” (with James M. DuBois et al. ), 22 Ethics & Behavior 163(2012). “What Is Managed Care Anyway?” (with Abe P. Schwab & Matthew K. Wynia), 6 The American Journal of Bioethics 36 (2006). “Lessons Across the Pond: Assisted Reproductive Technology in the United Kingdom and the United States,” (with Arthur L. Caplan et al. ), 31 American Journal of Law & Medicine 419 (2005).